It’s that time again. Yup, you guessed it…Customer of the Week time! Allow us to introduce Chris….a.k.a Blitz Linster from the Polkaholics!! He is pretty hilarious, and has been a customer of ours since 2009. Chris came in looking for a change and boy o’ boy did he get one! 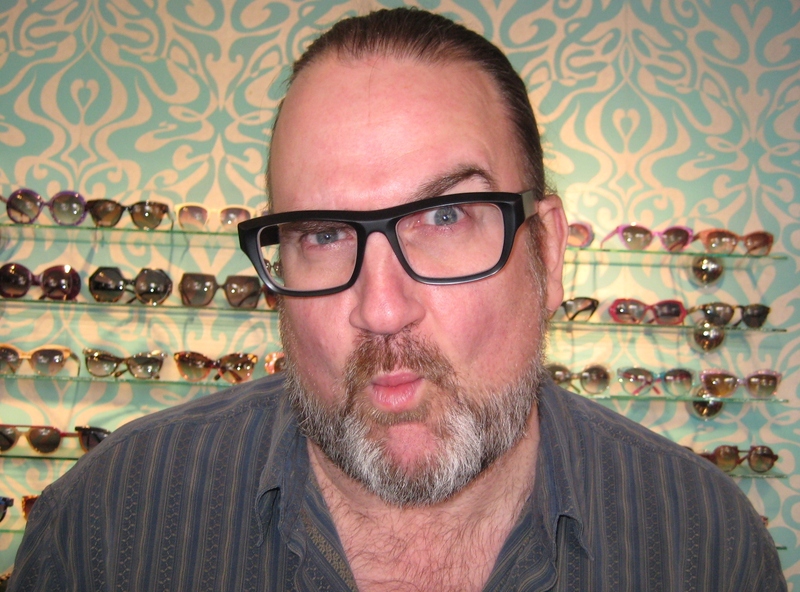 Chris went from a simple silver stainless steel IC Berlin frame to this handsome Theo Capone frame. It’s a beautiful matte black plastic frame that he clearly loves! Thanks for being so awesome, Chris, and for being our customer of the week! Check out Chris and the Polkaholics, if you know what is good for you! Check out our new friend Gina. She is rock’in it, in her brand sparkly new Francis Klein Help frames! 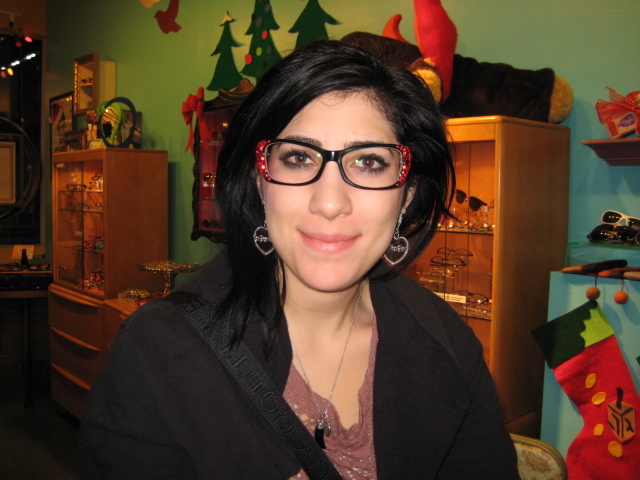 Gina fell in love with these frames, came back to visit them weekly, now they are finally hers! Gina is going to be the coolest instructor on campus. Who wouldn’t love an art history lecture with this lady? Just to add some bonus cool points, she also is a roller derby skater! Congrats on being our customer of the week Gina! You look so awesome in your new Francis Klein Help glasses! Check out the sweet details on this frame. Cat-eye-ed and sparkly what more do you want? 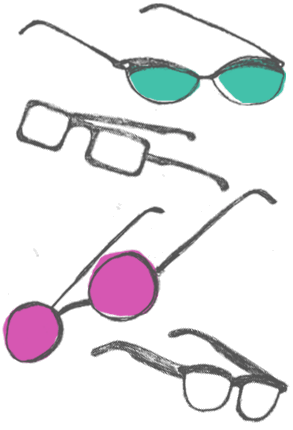 Note: These lovely Francis Klein frames can be custom ordered in a seemingly endless variety of colors and decor.